The federal government launched its Genetic Testing Registry (GTR) to help physicians navigate the burgeoning number of genetic tests. The free resource, developed by the National Institutes of Health, (NIH) is aimed to help physicians looking for answers to their patients' diseases, as well as researchers seeking to identify gaps in scientific knowledge. "Our new registry features a versatile search interface that allows users to search by tests, conditions, genes, genetic mutations and laboratories," said Wendy Rubinstein, MD, PhD, FACP, director of GTR, said in a press release. "What's more, we designed this tool to serve as a portal to other medical genetics information, with context-specific links to practice guidelines and a variety of genetic, scientific and literature resources available through the National Library of Medicine at NIH." Genetic tests currently exist for about 2,500 diseases, and the field continues to grow at an astonishing rate, according to the NIH. To keep pace, GTR will be updated frequently, using data voluntarily submitted by genetic test providers. Such information will include the purpose of each genetic test and its limitations; the name and location of the test provider; whether it is a clinical or research test; what methods are used; and what is measured. GTR will contain no confidential information about people who receive genetic tests or individual test results. Genetic tests that the Food and Drug Administration has cleared or approved as safe and effective will be identified in the GTR. However, most laboratory developed tests currently do not require FDA premarket review, the NIH release notes, so genetic test providers will be solely responsible for the content and quality of the data they submit to GTR. NIH will not verify the content, but will require submitters to agree to a code of conduct that stipulates that the information they provide is accurate and updated on an annual basis. If submitters do not adhere to this code, NIH can take action, including requiring submitters to correct any inaccuracies or to remove such information from GTR. 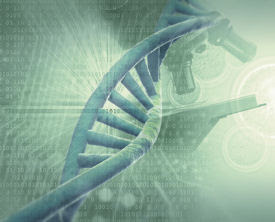 In addition to basic facts, GTR will offer detailed information on analytic validity, which assesses how accurately and reliably the test measures the genetic target; clinical validity, which assesses how consistently and accurately the test detects or predicts the outcome of interest; and information relating to the test's clinical utility, or how likely the test is to improve patient outcomes. Video tutorials on how to use GTR are online. ACP Internist publishes "Practical Genomics," an update on genetic tests and related subjects, and how genomic topics intersect with everyday aspects of internal medicine. Columns by W. Gregory Feero, MD, PhD, are collected here. Dr. Feero, a family physician with a doctorate in human genetics, is Special Advisor to the Director of the National Human Genome Research Institute (NHGRI) and faculty at the Maine-Dartmouth Family Medicine Residency Program (MDFPR).